In order to get the best results possible while minimizing any undesirable after effects, the physician must have a keen knowledge not only of anatomy, but also the dynamic of all muscles in play. 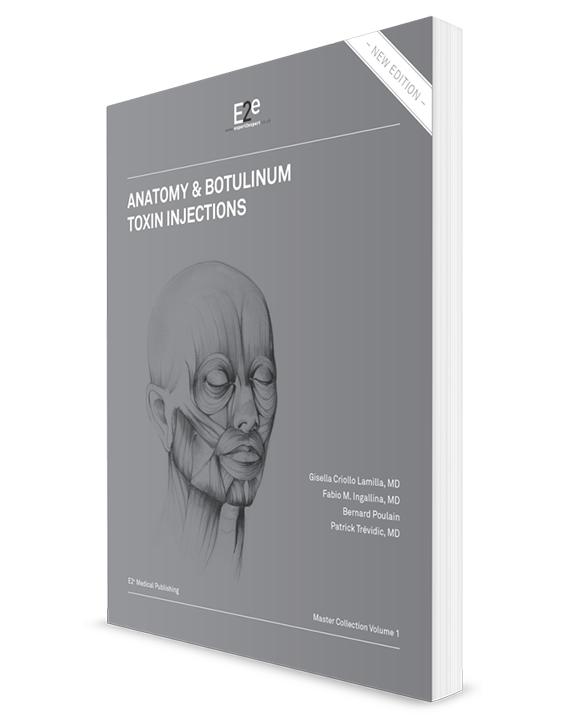 Knowledge of anatomy for botulinum toxin is developed in our atlas-like format. Our expansive experience in cadaver dissection allowed us to create a book in which a surgical approach to the anatomy of facial muscles is combined with an analytical evaluation of the effects on expression wrinkles, produced as a result of muscle contraction. In order for the reader to get the most out of this book, we chose an atlas-like format, one which gave us the possibility to insert full page image accompanied by concise, easy to follow descriptions of the relevant muscles. Our aim is to take the readers on a journey, starting from an anatomical base, then on to an aesthetic analysis of the targeted areas, and finally reaching the injection sites on their appropriate techniques. The anatomical structures are clearly detailed. The contents are clear, comprehensive and easy to use. Each chapter is dedicated to detailing one given muscle: the full muscle profile, progressive dissections showing the targeted muscle, connections with the more important anatomical structure of the region, the correlation with its external clinical elements on the skin which allow us to better find the origin and injection points, the innervation, and the motor endplates localization, and finally the injection techniques and doses. 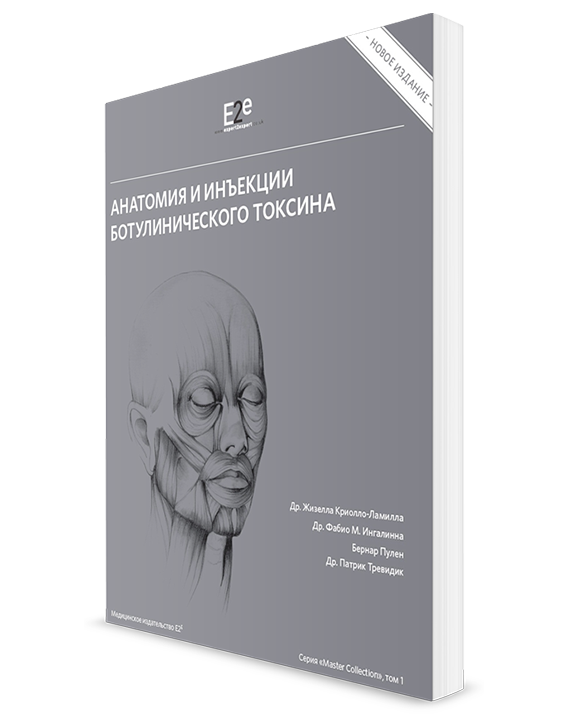 The enclosed DVD allows the reader to see the reconstruction of the head and its facial muscles in 3D and the full dissection on cadavers of the targeted muscles with the injection points clearly indicated. My hope is that experienced surgeons and young colleagues alike will appreciate and value this book. I also hope that like me they will find that serious, detailed studies about facial anatomy as well as understanding of facial muscles dynamics will aid in improving their techniques. This book chapter reviews the state of art on botulinum toxin mechanisms. Thirty years ago, Alan Scott pioneered a new field of medicine: the use of Botulinum toxin in therapy. For over 30 years, an incredible number of new indications have been assessed, then approved or rejected. The use of botulinum toxin for aesthetic purpose, pioneered by Carruthers and Carruthers in 1992, has been another breakthrough in botulino-therapy. Let us come back to the seminal work of Alan Scott: genious intuition and solid knowledge of state of art basic science. Indeed, without knowing that botulinum toxin do not cross the blood brain barrier and acts in the periphery, that botulinum toxin causes muscle paralysis and secretory gland drying by preventing acetylcholine release, in a very long lasting manner, he would had not envisioned a possible use of botulinum toxin in therapy. During the last three decades, our basic knowledge on botulinum toxin has been greatly improved. Most importantly, the molecular and cellular mechanisms involved in botulinum toxin action have been entirely deciphered. Indeed, it has been established that (i) neurotoxin separate from complexing proteins at physiological pH in less than one minute, (ii) only the neurotoxin (150 kDa) is neuroactive and the complexing proteins do not participate in the therapeutic effects, (iii) specific receptors for botulinum neurotoxins have been identified onto nerve endings explaining why botulinum neurotoxin is so effective on certain nerve terminals, (iv) it is internalized in nerve endings and intracellular targets of the various botulinum toxin types have been identified. This book chapter reviews the state of art on botulinum toxin mechanisms. Since thirty years, a lot of issues have been resolved, at least in part. This is the case of (i) the factors that participates to myorelaxation: blockage of acetylcholine and muscle fibres atrophy; (ii) what determines the life-span of botulinum neurotoxin in the extracellular space and inside nerve endings, (iii) why its action can prolong for months, (iv) what influences its diffusion/dissemination when in muscles or glands (i.e. what determines the field of effect) and the circulating fluids (source of undesired effects). Knowing all these basic science aspects is essential for any-body who wants using botulinum neurotoxin in a rational manner, in the daily practice or with in mind developing new indications. Therefore, a large part of this book chapter is aimed at reviewing what may favour higher, longer, and safer efficacy. To summarize, this chapter 1 and ensuing Annexes summarise what is currently known about botulinum toxin with the hope of helping practitioners to use it in the most rational way possible, and to anticipate future development. It is also aimed at answering some of the most frequent questions that may rise in the context of daily clinic practice. Each section of this chapter is dedicated to detailing one given facial muscle. 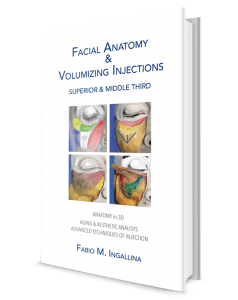 In this dense chapter of our best seller, Anatomy & Botulinum toxin injections, each muscle has a dedicated section. It is divided in 3 parts: the first one, Muscle profile, and the second, Injection technique and the last one : Key elements. The Muscle profile section begins with the definition, and is followed with the origin, insertion, connections, innervation, action, and wrinkles of each muscle. The text is accompanied by clear anatomical view and schema. It is then followed by the injection technique section where you will find injection point number, sites, plane, effect. The text is accompanied by clear anatomical view locating injection points, clinical cases. In the key elements section, all important information are available at a glance on just one page on a very clear lay-out. In this edition about facial muscles, special attention is paid to 3 D muscles. It also features 3 new muscles: nasalis, depressor septi nasi and masseter muscles. This chapter is filled with useful tips for botulinum toxin injections from our Experts. A practical summary to improve your results when injecting botulinum toxin. This chapter is very practical and useful for botulinum toxin injections. It begins with useful tips on syringes and needles. The right equipment is very important as it can save wasting botulinum toxin. Using the right needle makes the injection less painful for the patient. Selecting the right needle for your injections decreases the risk of touching a vessel or a nerve. There are many more essential information on syringes and needles in this part. There is also a little trick to switch from one product to another. Posology and frequency have a section of their own. Medical records are very important too to be able to repeat the treatment on your patient’s next visit. Post-injection care and control appointment conclude this do’s and don’ts chapter. Bernard Poulain, PhD, is born in 1958 at Avallon (France). He is a former fellow of University Pierre-and-Marie-Curie in Paris and has prepared his PhD (same university) under the supervision of Ladislav Tauc, in the Laboratory of Cellular and Molecular Neurobiology in Gif-sur-Yvette, near Paris. He has been tenured at CNRS in 1988. He has been head of the CNRS unit “Neurotransmission and Neuroendocrine secretion in Strasbourg. Since 2009, he acts as deputy scientific director of the national institute for biological sciences of CNRS (Paris), in charge of research in Neuroscience and Cognition at CNRS and he is chair of Neuropôle de Strasbourg. Bernard Poulain -after defending his thesis (1986) on the regulation of cholinergic neurotransmission in the sea mollusca Aplysia- has been deeply involved in studies aimed at deciphering the molecular mechanisms of botulinum and tetanus toxins. During a series of long term collaborations with Pr J.O. Dolly, in London, Pr. E. Habermann, in Giessen, Pr. C. Montecucco in Padova, and Pr. H. Niemann, in Tübingen, he demonstrated that botulinum neurotoxins A, B and E act intracellularly, participated to the deciphering of the structure-function relationship in botulinum and tetanus neurotoxin constitutive chains, and intracellular mechanism of action of their light-chain. After 2000, with his laboratory, he also studied the mechanisms by which other bacterial protein toxins can effect on neural cells. Notably, in collaboration with MR Popoff, Institut Pasteur, Paris, he demonstrated that lethal toxin from Clostridium sordellii blocks neurotransmitter release as potently as botulinum toxin and, more recently, that Epsilon toxin from C. perfringens attacks both neurons and oligodendrocytes, thereby causing demyelination. In parallel to these studies, since 1995, he and his lab addressed some basic aspects of synaptic quantal transmission, mainly focusing on functional presynaptic plasticity mechanisms. He has authored more than 125 scientific publications in peer reviewed journals and books. Dr Trévidic has been an intern of the Hôpitaux de Paris”. He is a former clinic leader assisting at the Paris Faculty. Hospital practitioner and Surgeon at the “hôpitaux de Paris”. Today he is, amongst his other activities, the Head of the reconstructive department at the hôpitaux de Paris. He is one of the renowned surgeons registered at the “Conseil National de l’Ordre des Médecins”. He is a plastic, reconstructive and aesthetic Surgeon, also qualified in maxillofacial surgery. He is an active speaker in most International Prestigious Aesthetic Congresses. He has been writing numerous articles for various scientific journals and magazines in the United States and in Europe. He teaches in both French and English medical and surgical schools. He is also a professor in the context of surgical university degrees. He is the scientific director of Expert2expert , a group of renowned international experts in the Aesthetic field.